However, I don’t use it with less frequency. 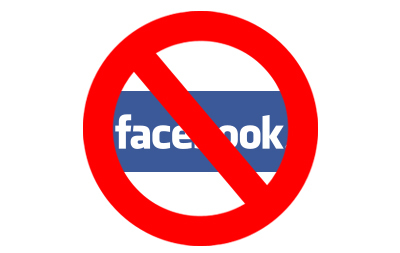 I want to remind everyone that I don’t have access to Facebook, Twitter, Google+, and other social media and websites. If you can see this post on my Facebook wall is because I am doing it through a third party application that I installed in WordPress, but this is only for blog posts. For those who blog and are interested in knowing how this works click here. Before departing from Mexico I changed my Facebook settings so I could receive notifications of posts on my wall, Facebook messages, comments on my photos, requests to be my friends, and other actions, unfortunately I won’t be able to reply to any of them through Facebook because of this Internet censorship. So I apologize to those who have emailed me and I don’t have their email addresses to reply back. If you want to communicate with me send me an email (check contact page) or you also can register/log in in the blog in order to make comments in some of the blog posts, I can also reply with a comment. I’ll try to update this blog in English, but the Spanish version will have more content for now (sorry, I just have a slight more audience there now). If you would like to receive a weekly notification of new posts of this blog, you can enter your email address in the box under “Subscribe to Jesús Rosas’ Blog” at the home page or next to the title of this post at the right column.